Starting a new position as a nurse can be stressful and overwhelming–even for the more experienced nurse. 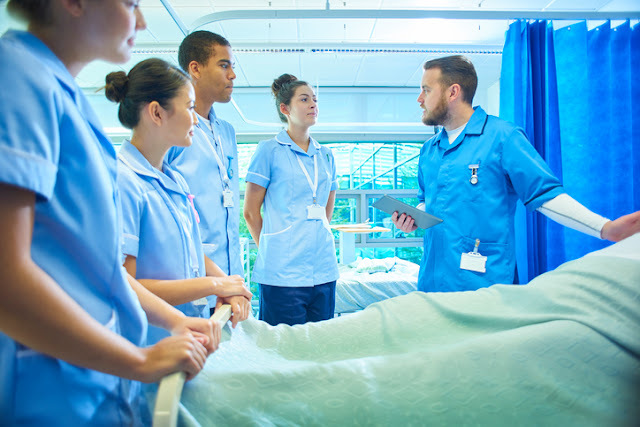 Policies and procedures can vary wildly from one nursing unit to the next, and learning where all of the essential patient care resources and supplies are housed can prove to be quite a challenge. Orientation helps you get up close and personal with your new workplace environment. It is very important that you get as much hands-on experience during your orientation time so that when you no longer have a preceptor, you will be able to independently perform the duties of your role. A great way to ensure that you get maximum exposure to skills and tasks is to other nurses on the unit as well as your preceptor. The more you do during your orientation, the better you will perform when you are on your own. Seeking out clarification when you do not fully understand something is one of the most important things you can do when you have a preceptor to help guide you to the answers you seek. It is recommended that you ask questions that go beyond daily responsibilities and search for a deeper understanding of the big picture. For example, understanding the rationales behind why certain wound care supplies are used versus others that you may be more familiar with allows you to learn and grow your expertise. When in doubt, seek it out! It is important for you to receive regular and structured feedback regarding your performance during your orientation. Generally, this is done with both your preceptor as well as your direct supervisor or nurse manager. Topics during these meetings usually include: anything you may have questions about, observations made regarding your performance level, as well as your strengths and areas in need of improvement. This is also a time that you may provide feedback to your preceptor and manager about their performance in regards to helping you meet your learning needs. If there is an issue where you feel that you are not getting what you need out of the orientation, this is the best time to discuss this so that a plan for improvement may be made immediately. Organization is key to keeping everything in order during an overwhelming orientation. You will be provided with lots of new information in a short period of time, so it is important that you find a way to keep everything straight. Some examples for staying organized include: creating folders to keep important documents safe and readily available, using electronic calendars for scheduling, creating step-by-step guides to facilitate your learning–especially in regards to electronic documentation, and multi-step skills or tasks–and keeping all essential nursing equipment and tools (stethoscope, scissors, pens, markers, etc.) in a designated bag, or your facility provided locker. Staying organized will help you learn more efficiently and will help to reduce the stress of an overwhelming orientation. Though it is easy to get frustrated when you are overwhelmed or stressed during an orientation, you must remain positive and professional at all times. 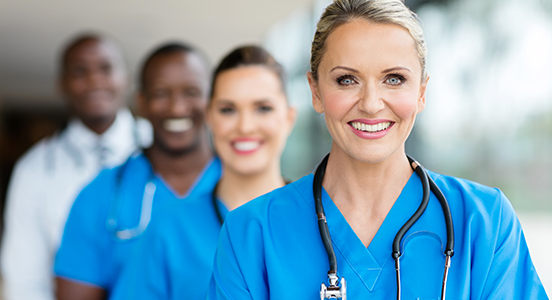 Your first few days in your new assignment are critical in making a good impression, so be sure to smile, introduce yourself and get to know the other nurses and doctors you’ll be working with. Forming strong working relationships early on will help you ease into your new role by establishing a good team that you can depend on when you need help. I really appreciate your efforts and I am waiting for your next write ups thank you once again, Thank you for sharing your thoughts. I agree with this wholeheartedly - especially asking questions! I found that by establishing that I was open to learning and listening to others - they were more inclined to support me later on when I didn't ask as many questions.